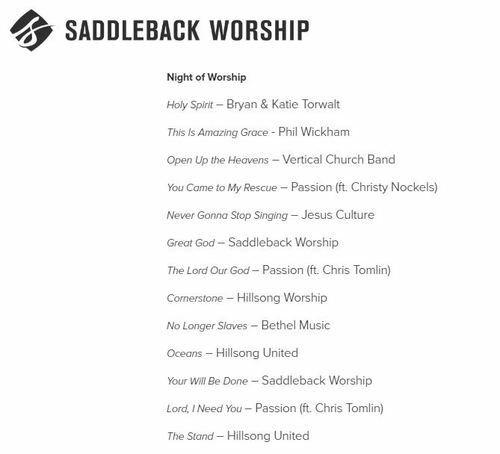 The unofficial wanna-be Southern Baptist ambassador to the great apostate of the Tiber, Rick Warren, completed another Purpose Driven Church Conference last month. While the adroit observer of the church, a la the “American” flavor of Christianity, won’t be surprised that the event was attended by participants from all 50 states, it may be saddening that the woefully undiscerning from 33 other countries also seeking knowledge from the chief priest of the idol of church growth bellied up to Saddleback. Was there, one wonders, a currency exchange booth in the Saddleback foyer? The Christian Post reports that 70 percent of attendees at this latest conference were not in attendance at the original event a decade ago. Maybe those who skipped this latest conference were not, as Peter writes, like the dog who “returns to its own vomit.” (2 Peter 2:22) On the one hand, we can hope that means many of the unreturning turned instead to something far more Biblical than “purpose” and intentionally avoided worshipping at the feet of this false teaching mega-priest. Perhaps they discovered Scripture compels us to obedience, not an unbridled, un-discerning, world-enriched passion for purpose. On the other hand, we can recognize that Christ’s words are being fulfilled before our very eyes. Some of those “many” converged on Saddleback June 28-30 to hear bishop Rick bellow forth the decidedly worldly methodologies that have propelled him to the position of high priest of the temple of the insufficiency of Scripture. But, he’s just trying to help pastors. Christ warned us, you know, about the importance of saving time and avoiding pain … right? Oh, wait … wrong verse. Well, never mind. Rick just wants to help other pastors become mega-pastors, too. And, according to Rick, Rick is just the guy to do it. If humility is grounds for tribulation from a persecuting world, this sounds more like the self-indulgent, self-extolling pleasures of a Carnival cruise. It was, apparently, no small miracle that Warren was able to pull the cash-ference … err, I mean, conference … off in the first place. According to him, God was not exactly using His attribute of foreknowledge to appropriately provide Rick with ample time to plan. Yeah. Rick Warren blamed God for poor planning. If you happened to have missed the conference – while you should thank God for your obvious use of discernment – Rick still wants to help you. For $199, you can purchase the “PDC16 Online Pass” for access “on-demand to all of Pastor Rick Warren’s” teaching. Rick wants to help, you see. God told him to help, you see. That divinely revealed command, though, will cost you 200 bucks. Umm … no. Rick Warren continues to give discerning believers ample evidence of his pursuit of passions driven by a wide path, worldly approach to church growth rather than one driven by obeidence to Scripture. You can skip that whole “I will build my church” (Matthew 16:18) affirmation from Christ; Rick will show you how to do it better, saving time and avoiding pain. Warren may define his unbridled pursuit of purpose-driven ecumenism and church growth as guided by the revelation of God, but discerning believers will recognize that it isn’t God who prompts people “not to endure sound teaching.” (2 Timothy 4:3) It’s the false teacher who does that. And we know who’s in charge of them. This entry was posted in Postmodern Church/Apostasy on July 28, 2016 by Truth2Freedom.